If you are in college or are a recent graduate, one of the things you have to look forward to is to start paying back all those student loans you got to finance your education. Perhaps you have already begun to realize that just because you have now graduated, that does NOT mean you are on Easy Street. You have or will soon have the credentials that will allow you to be competitive in today’s aggressive job market, but you are not there yet, and in the meantime, you have student loans screaming to be paid off or at least start making payments on. To keep the pressure off your back with everything else you are facing right now, you may want to consider student loan bill consolidation services. In many ways, this is almost like a dream come true, and it is surprising how many people and students are not aware of this option. Normally when people get behind in bills, debts, and credit cards, they try to find a solution, which might be a personal loan, a secured loan, perhaps a private loan from their parents or a well-off uncle or something similar. Whatever the source of the funds, they understand that they need to take care of those obligations. For those who have no such resources, many of them consider bankruptcy. While bankruptcy may indeed be an option, it is rarely the best option if you look at what happens in bankruptcy proceedings. The biggest downer is that you will have this huge red flag on your credit reports for the next 7-10 years and it will be virtually impossible for you to get a new line of credit approved. In fact, with more and more potential employers looking at a job candidate’s credit report before they offer a position to the candidate, having red flags on your credit report can mean the difference between getting that job and going back to the newspaper classified ads. 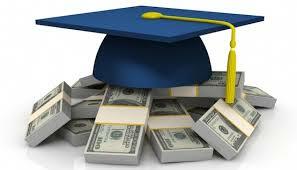 With a student loan bill consolidation loan, you are not declaring bankruptcy. You will work with a professional financial management person who will look at your student loans and other debts you have, and who will arrange to lump all of those debts and financial obligations into one payment, which you then make every month to the debt consolidation company. You will typically pay far less interest on this ONE loan than you would on multiple other loans, where each loan computes its own interest. And the monthly amount that is due on this loan is usually significantly less than the sum total of the minimum payments on all your other debts. The beauty of this is that assuming you make your student loan bill consolidation loan every month on time, your other financial obligations are also paid on time. This keeps your credit report clean as a whistle and actually helps to raise your credit score since you are now meeting your debt payments on time each month. Do not let a pile of student loan debt get you down. You have options, and you need to take action on your best option to avoid having your credit report get blemished. 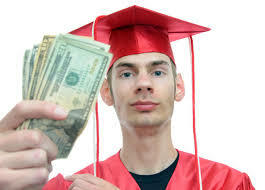 Consider a student loan bill consolidation loan to get you on the right track for your future! NEXT POST Next post: Life Insurance Or Mortgage Life Insurance?